I told you some things were worth re-posting. 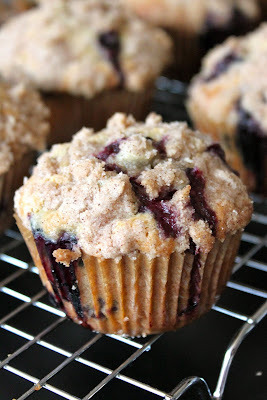 These muffins are seriously incredible and I posted them so long ago that I thought I should share them again. Don't worry, I will post something new next week. If you have not made these yet, then you should! A good friend of mine has a local farm in Maryland, Farm at Home. We headed out there and ended up picking six pounds of blueberries. That is clearly more than Zack and I could eat before they went bad, so I went to town on the blueberries. 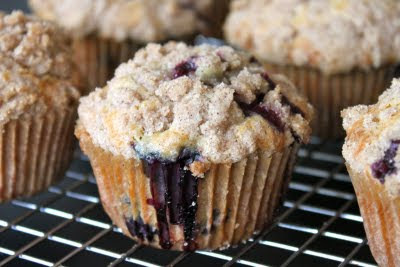 We had these muffins, blueberry pie, and blueberry soup. That is of course in addition to the handfuls we were eating throughout the week. Anyway..back to these muffins. They are my favorite muffins. I personally think they are better than anything you can find at a local bakery.